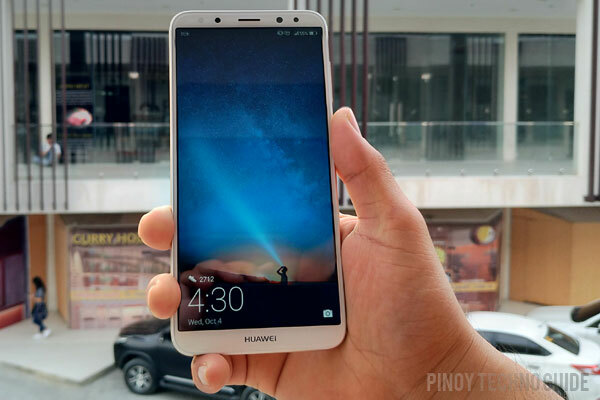 I was a pleasantly surprised when Huawei announced the ₱14,999.00 official price tag for the Huawei Nova 2i. By that time, I’ve already been using the device for almost two weeks and it seemed to be worth more than that. 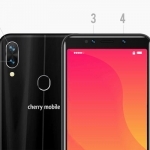 There’s the quad cameras that always turn up with a good picture, large but handy 5.9-inch FHD+ display with 18:9 aspect ratio and a 2.36GHz octa core Kirin 659 processor among other great features. Holding the Huawei Nova 2i exudes a premium feeling. It’s clad in metal with curved corners and a gorgeous 18:9 display with slim bezels on all four sides. As a result, one hand usage is comfortable. The phone’s forehead is lined with its dual selfie camera, earpiece, LED notification light, a couple of sensors and the front LED flash. 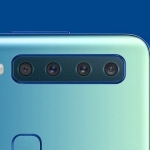 Meanwhile, there’s just the Huawei logo in its chin since it uses on-screen navigation buttons. Ports at the bottom of the Huawei Nova 2i smartphone. Likewise, almost all ports are located at the bottom of the phone. There’s the 3.5mm audio jack, microUSB port as well as the speaker grille. The volume and power buttons are on the right side while the SIM and microSD card slots are accessible on the left side. At the back, the LED flash, dual rear cameras, fingerprint sensor and several markings are all symmetrically arranged at the center. Sometimes though, the metal body of the phone feels slippery especially when my hands are dry. Thankfully, there’s a free phone case in the package. I can operate the Nova 2i with one hand… and it has a 5.9-inch display! 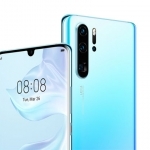 The large display of the Huawei Nova 2i has an FHD+ resolution – that’s 1080 x 2160 pixels at 409 pixels per inch. It’s bright, crisp and very responsive to touch inputs. Huawei’s EMUI software has a feature that optimizes apps for the taller than usual display. It also provides more space for viewing content and requires less scrolling. It’s hard to reach the top of the display with one hand though. That’s the only disadvantage I see with this type of display. 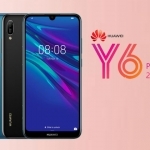 The Huawei Nova 2i boasts a quad camera setup – two cameras on the front (13 + 2 MP) and two cameras at the back (16 + 2 MP). Both secondary cameras are used to enhance the primary ones and produce stunning bokeh effects. 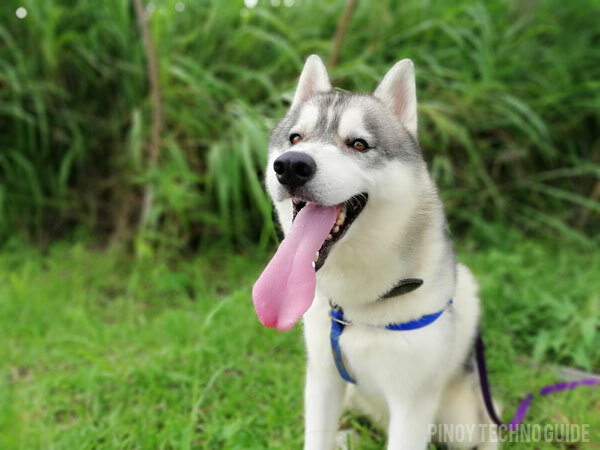 Huawei Nova 2i sample picture (rear camera with Portrait Mode). As can be seen from the first sample picture above, the dual rear camera can produce great looking portrait pictures. Edge detection is almost perfect given that the subject is a furry dog. Notice the bokeh lights at the top portion of the photo too. The original files of these sample pictures are available for download here. Disabling portrait mode can still yield good pictures but with no bokeh effect. HDR mode can improve the dynamic range without adding considerable shutter lag. Huawei Nova 2i sample photo (HDR mode on the left and Auto mode on the right). The sky is more beautiful in the right photo. However, the grasses and the horse look brighter when HDR is used in the photo on the left. 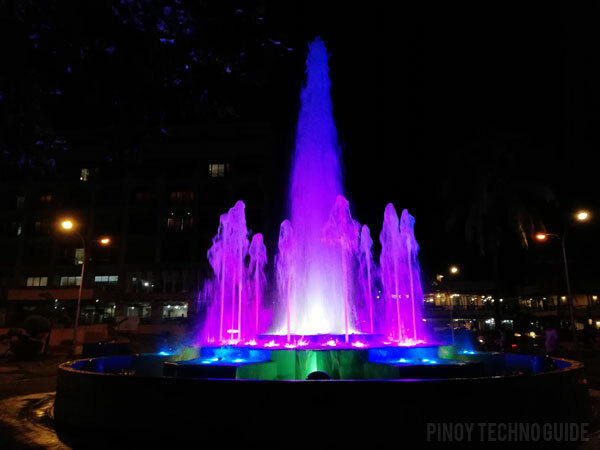 Huawei Nova 2i sample photo (night shot on Auto mode). The Huawei Nova 2i can also take good pictures even at night. Notice that the buildings in the background are still visible while the fountain is as pretty as ever. You need to be steady when taking pictures at night though because there’s a tendency for blurry results. There are other shooting modes like Light Painting, Moving Picture and Pro Mode that you can explore. The dual front camera can produce great selfies too. I’m not fond of taking selfies but it made me share one on Instagram (follow PTG there!) because the bokeh effect is very good. 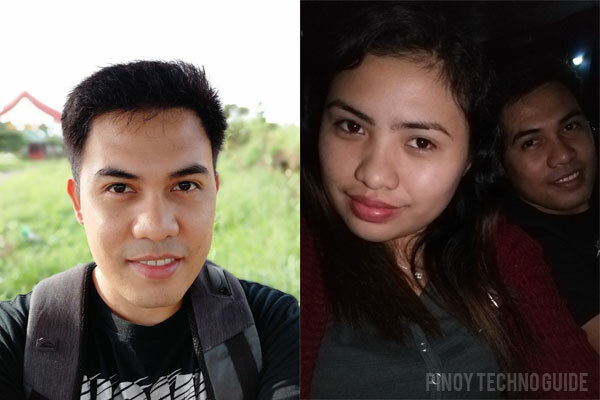 Huawei Nova 2i sample pictures (selfie with Portrait Mode on the left and low light selfie on the right). There’s an artifact on my right cheek in the left photo but other than that, it’s a great selfie! This can even be further improved through a software update. We also tried taking a selfie in a pitch black environment (a movie theater) using the front LED flash of the Huawei Nova 2i. As expected, it still produced a good selfie. Powered by Huawei’s own Kirin 659 chipset and 4GB of RAM, the Huawei Nova 2i offers great performance compared to its competitors. It has an octa core CPU with two clusters – four running at 1.7GHz and another four at 2.36GHz! Others are concerned with the Mali-T830 graphics processor. However, playing heavy games with this smartphone is very smooth. It’s not the best, obviously, but it provides a great gaming experience for the price. The fingerprint sensor at the back of the device unlocks the phone immediately. 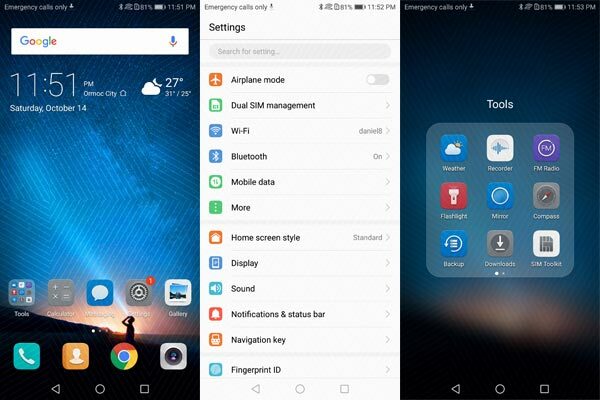 Screenshots of the Huawei Nova 2i smartphone. What’s even greater though is Huawei’s EMUI 5 software. It’s smooth, feature packed and looks professional enough. 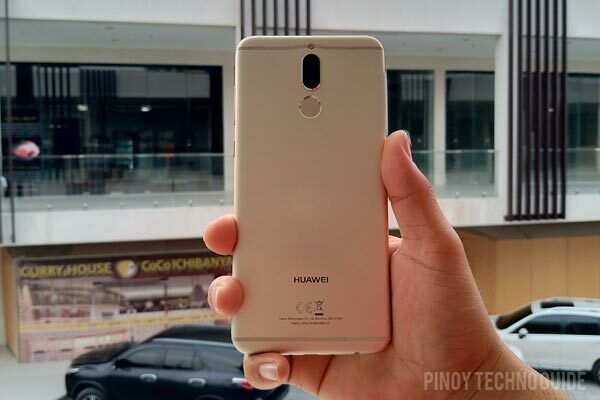 There’s no problem browsing the internet on the Huawei Nova 2i using either Wi-Fi or data connection. It’s a reliable source of mobile internet on the go too even if there’s only 3G networks available. One of its major disadvantage is the use of microUSB 2.0 instead of a USB Type-C port. File transfer is still fast though so if you don’t really need USB Type-C, it’s not a big deal. 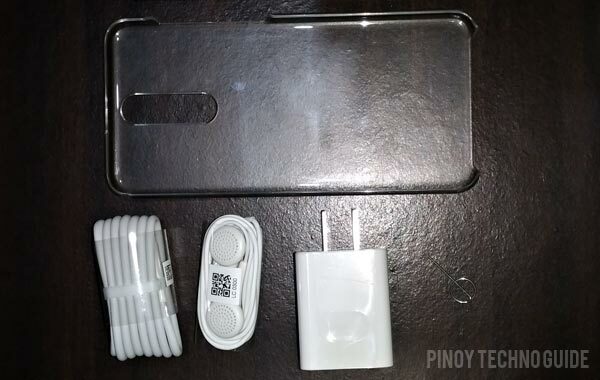 Freebies of the Huawei Nova 2i. The Huawei Nova 2i comes with free earphones. It’s not the in-ear type so it’s difficult for me to appreciate it. When paired with a capable set of in-ear monitors, the phone does produce great sounding audio for music listening. On the other hand, its loudspeaker is loud enough but with minimal bass. The earpiece also produces good quality audio for calls even in a crowded and noisy environment. 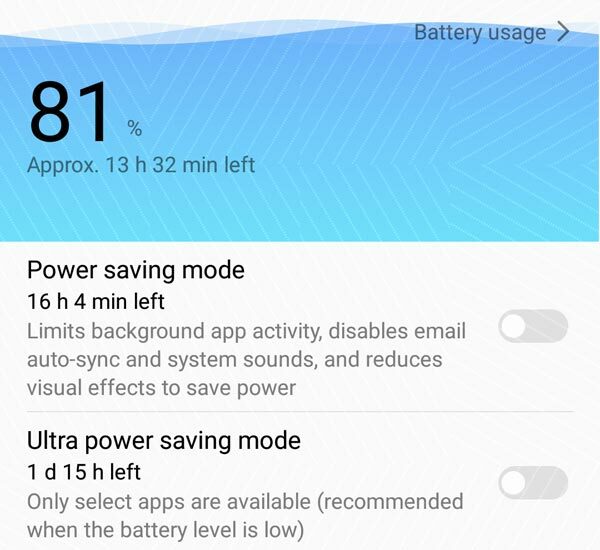 Battery saving modes of the Huawei Nova 2i. The Huawei Nova 2i is equipped with a 3340mAh battery which is non-removable. It can last more than a day on casual usage since the EMUI software has built-in power saving tools. My usage while reviewing the device is a bit heavy though. It’s on 4G data with the Wi-Fi hotspot turned on. There’s also a lot of picture taking, browsing through Facebook and reading the latest news. Nevertheless, it can last through a day on a single charge. In our Selfie Battery Test, the Huawei Nova 2i scored 5 hours and 35 minutes of screen-on time. It involves taking a selfie once every minute with the screen always on and the brightness set at maximum until it shuts down. However, charging time is a bit long at 2 hours and 25 minutes using the bundled charger. It supports 5V/2A charging but the sheer size of the battery means that it needed the time to fully charge from 0 to 100%. 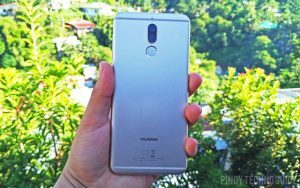 The Huawei Nova 2i is definitely one of the best smartphones you can buy for ₱14,999.00 in the Philippines. It has great cameras, premium design, stunning display, good performance and decent battery life. Further improvements to the already good camera can be delivered through software updates. However, a USB Type-C port and faster charging would have been great. 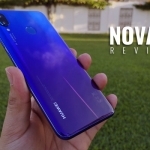 Overall, I highly recommend the Huawei Nova 2i. The FREE JBL speaker for the first buyers is an awesome deal too!